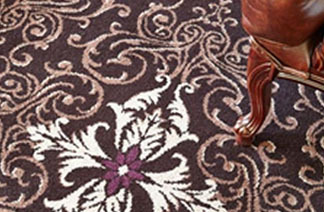 Our Machine is Highly rated by a Leading UK magazine and recommended by Brintons (British Carpet Manufacturing Company). A carpet can hold 2 ½ times its own weight in dust and mites and does this ‘on purpose’ to keep control of dust pollution – we can remove this deep soil with our dry extraction system..and leave a dry fresh and clean carpet EVERYTIME! That carpets filter dust and improve Air Quality – However a carpet ‘Full’ of dust can’t ‘breath’ and can not be effective in your home or business. Carpets become soiled by foot traffic and airborne dust – ever observed hard flooring and notice (after only 7 days) how quickly a dust film appears on the surface with nowhere to go…..imagine your carpet…..how long has it been absorbing dust…ask for a demo today and let us show you how we can keep your carpets clean……..residential or commercial……..